Attendees of the Kent Housing Summit heard from six speakers about the scale and nature of the housings crises facing England and how these speakers feel that together we can respond positively to ensure that together we are in a better position to build houses of quality at pace and at volume. Having a spatial evidence base of the future infrastructure needs is critical and knowledge of the funding gap essential. Understanding the mix of housing types required to meet the growing aging population is important and knowledge of how the provision of housing links to adult support and health sectors must be planned. Ensuring affordability across markets is a must, a goal which is strongly linked to addresses direct impact of competition of land and high land costs. 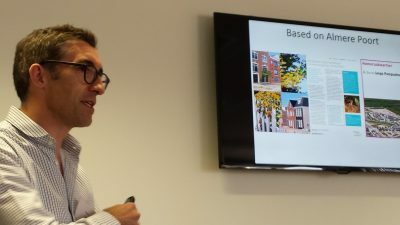 Developing future models offering housing choice within set parameters will help to meet customer demand for a less regimental offer and should contribute to higher quality and flexible design. Frameworks offering consistent long term messages need to be in place to ensure that all sectors of the housing industry can buy in to the above changes, and trust needs to be built within partners that share in the risks as well as the benefits of housing tomorrow’s communities. If you would like to find out how your organisation can become a member of Kent Design please contact kentdesign@designsoutheast.org.